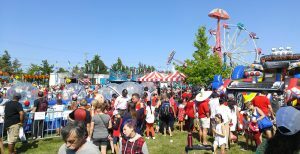 Surrey knows how to celebrate Canada Day! Join us again at the grounds of Bill Reid Millennium Amphitheatre at 176 Street & 64th Avenue, Surrey for another fun filled family outdoor day. Stay into the evening for concerts and fireworks.